A couple of weeks ago we presented the gastronomic markets in Barcelona. Today we would like to do the same dealing with the markets in Valencia. Going through this city markets can be an alternative manner of enjoying this city; so take a notepad and write down the following markets so that you can enjoy the best gastronomy this city offers you. 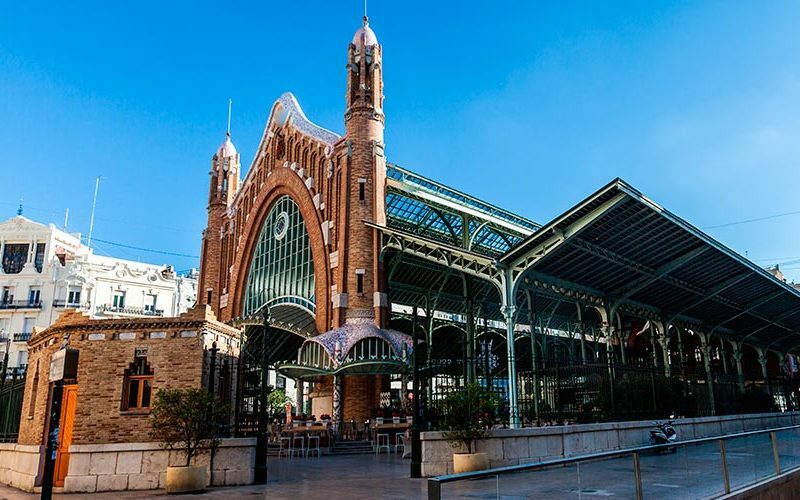 If we had to choose one market as the best or most famous, that would definitely be Valencia’s Central Market. The origin of this market was the New Market, open in 1836, where sailors used to gather to sell freshly-fished goods. However, it was not until 1928 when this market came out. This establishment (pictured above) receives the fresher sea products: without a doubt, a benchmark for food lovers! Besides, we also here the best fruits, vegetables, and meat as well. No wonder that all of the bars and restaurants inside the open area cook with the products of the very market. Do not hesitate to taste these goods in bars such as Central Bar or Súper Gourmet, where you can eat yummy tapas together with flavorful wine, beer or sangría. All in all, this market has more than 1219 stalls, thus being the biggest center in Europe specialized in fresh products. However, food is not the only reason why you should pay a visit to this place; the fact that this piece of modern architecture perfectly matches with the Silk Market and the Santos Juanes Church is undeniable. 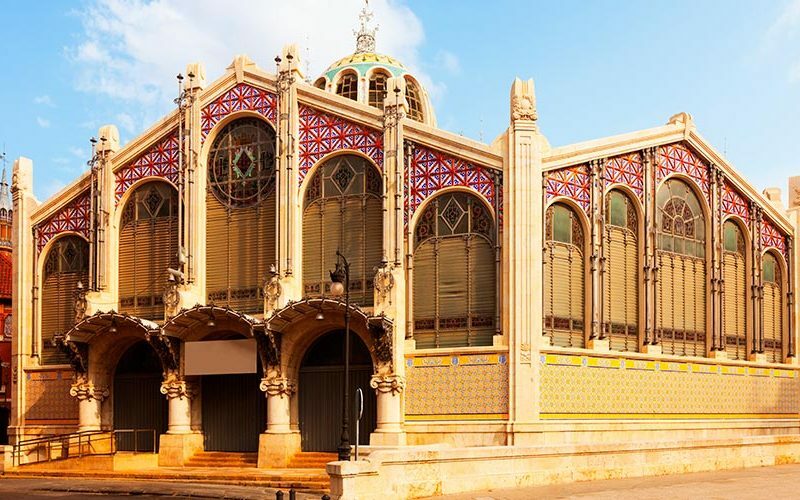 Another benchmark in Valencia’s gastronomy is Colón’s Market, which is situated in an area where it is concentrated most of the commercial activity of the city. It was set up in 1916, and it has twelve stalls nowadays where you will be able to buy fresh products and eat in one of the nine restaurants the market has. If you like tiger nut milk drink, then you are in luck: Colón’s Market can boast of having two of the most famous brands of that yummy drink: the house of the Oxtateria and Daniel’s Horchatería. Also, do not miss Ricard Camarena‘s space where courses are taught to a maximum of 30 participants. The aim of their teaching is to get people familiar with the cooking techniques of high cuisine and teach people tricks employing local products in order to taste the best flavour out of their recipes. Finally, for beer-lovers, this market offers a unique place where to try the best craft beer from all around the world. 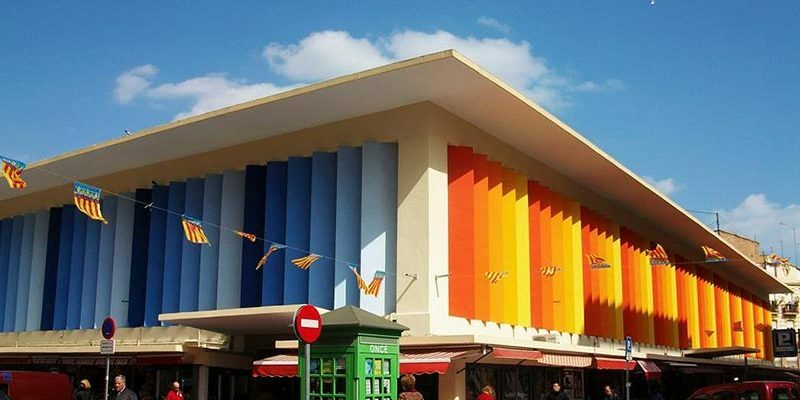 This market is situated facing the Baroque San Velero and San Vicente Mártir churches, and it is characterized by the flashy colors in its façade. It is one of the most modern markets in the city, built in 1956. It has virtually 600 stalls always crowded by locals and visitors in search of the best products. The scent draws the attention of any person wandering around: so it will not be easy to decide about in which stall to buy. Although there are not restaurants or bars where to eat in this market, you do have some home delivery services such as Filo Butcher’s shop, where you can purchase the best burgers.